Costing a budget of RMB$1.2 million and amassing big-name artistes like Zhou Xun, Zhao Wei, Chen Kun, Donnie Yen and Sun Li, movie [Painted Skin] is indeed the talk of the town. Today, after the Christmas holidays, various stars like Zhao Wei (attending activity in Guangzhou), Zhou Xun (attending an endorsement activity in Hong Kong) and Sun Li (attending charity activity in Nanjing), have all returned to Hengdian. We managed to have a sneak preview of the [Painted Skin] filming venue, to disclose all the important scenes. The story of [Painted Skin] is taken from the ghost series “Liao Zhai”, and was first brought to the silver screen in 1965 in Hongkong. In this latest version, the storyline has been turned upside down – love has replaced horror as the main theme. Chen Kun stars as “Wang Ersheng”, and is the younger brother of Donnie Yen (Wang Erlang). Zhao Wei is “Chen Yiqing”, the wife of Ersheng. We understood from the production crew that the original love triangle between Chen, Zhao and Zhou Xun has been expanded to include big brother Donnie. In the movie, Donnie is secretly in love with his sister-in-law Zhao Wei. And as Zhao despairs over her husband Chen Kun’s fascination over another lady (Zhou Xun), big brother Donnie provides much needed encouragement and consolation. However, Donnie was also tortured, as he was bound by the societal boundaries. The only person who understood this messy love entanglement is swordslady Sun Li. There has been much speculation as to whether Zhou Xun or Zhao Wei should be considered the main female lead of [Painted Skin]. Again, we understood from the crew that both actresses could be considered of equal status. 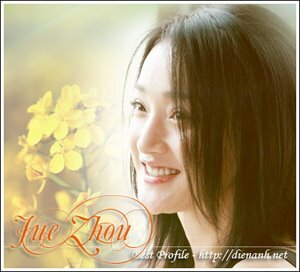 This is another difference from the previous version, when the ghost (Zhou Xun’s character) was the main focus. In this new version, the emotions and thoughts of Chen Yiqing (Zhao Wei) was focused on, to extol the virtues of a traditional Chinese woman. And the lady ghost was portrayed as the ‘third party’ of the marriage. [Painted Skin] has pitched its main production equipment on Han Street in Hengdian, which coincidentally was also the place where movie [The Promise] was filmed. In fact, a portion of the filming venue was sealed off and promoted to tourists as “The Promise Filming City”. When we walked into the “The Promise Filming City”, we were greeted by rows of peach blossom trees. It was apparent that these trees were newly planted, and it was indeed a lovely sight – the castle of [The Promise] has turned into a ‘peach blossom island’. In fact, the production crew told us that the peach blossom trees were the most expensive investment of the team so far. One of the doors pasted a notice “[Painted Skin] production in progress. Please do not enter. We apologise for any inconvenience caused.” When we pushed open the door, we saw a beautiful courtyard, completed with west wing, south wing and also gardens. And one thing that struck us most was that the ground was filled with thick ‘snow’, and a huge snow-generating machine was left at one side. We learnt that the crew had just filmed a snowy scene the night before, and there would still be more snow scenes to film later. As we entered the main wing, we saw several antique candle-stands and curtains. The wooden stairs creaked as we stepped on them, creating a tense and horror-hinted atmosphere. There was also a half-completed embroidered piece of lotus flower, which we understood was one of tools for Zhao Wei. However, Zhao Wei need not learn embroidery specially for this movie; all she needed to do was just position her hands and needle correctly during filming. This courtyard was the main filming site for the movie, and it was not big or grand. Apparently, the bulk of production budget of RMB$1.2 million went mainly to the artistes.